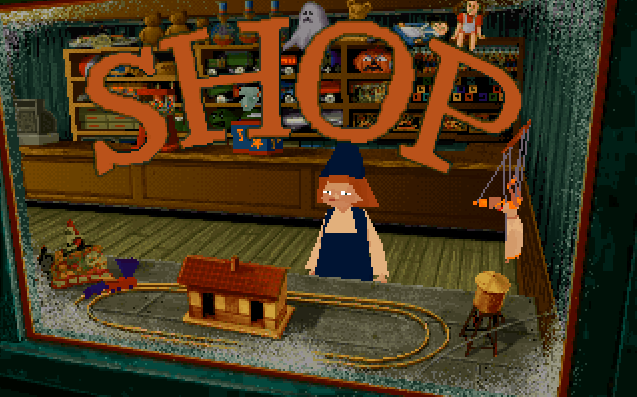 It's Halloween night (yet oddly also Christmas), Grace Saunders is trick or treating dressed as a witch when the lights of a toy shop catch her attention. She knocks on the door, enters, and is subsequently locked inside. Led by a malevolent Jack-in-the-box modeled after Alone in the Dark 2's One-Eyed Jack, the toys have come alive and kidnapped Santa Claus. Jack in the Dark was a small promotional game (like floppy disk small) distributed Christmas 1993 to advertise the upcoming Alone in the Dark 2. It's also so short you can easily finish it in about 5 minutes if you know what you're doing, the tank controls are rather sluggish and the graphics of the 3D models haven't exactly aged graciously. Also unlike the original Alone in the Dark, it doesn't exactly seem like a tale that could have sprung from the pages of H.P. Lovecraft. Basically the map of the entire game. Nevertheless the game has its charm. You get a catchy festive tune and dated though appealing pixelated graphics for backgrounds. 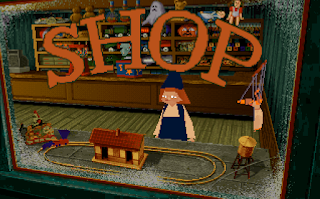 Then there's the atmosphere of an old toy shop during Halloween that's about to get ready for the Christmas season, and there's just something about being alone in a toy shop that captures the imagination of our residual inner child. 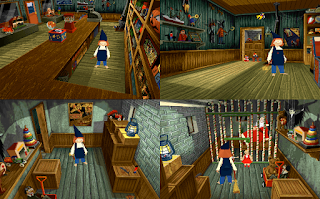 Jack in the Dark is not a huge landmark in the history of video games (although it achieved a bit more than you'd think, you'll see in just a minute), but it's just a charming little game. If you ever feel like checking out the old Alone in the Dark games, be sure not to skip this one. It's not that long anyway (it usually comes attached to either AitD 1 or 2. AitD 1 in the GoG version). Though the roots of the survival horror genre itself go much deeper, it is accepted that Alone in the Dark in 1992 was the first survival horror game in 3D, even before Resident Evil named the genre a few years later in 1996 with the iconic words "Enter the survival horror". There's no shortage of female protagonists in the survival horror, with Resident Evil's Jill Valentine, Claire Redfield and Silent Hill's Heather Mason being some of the more well known. 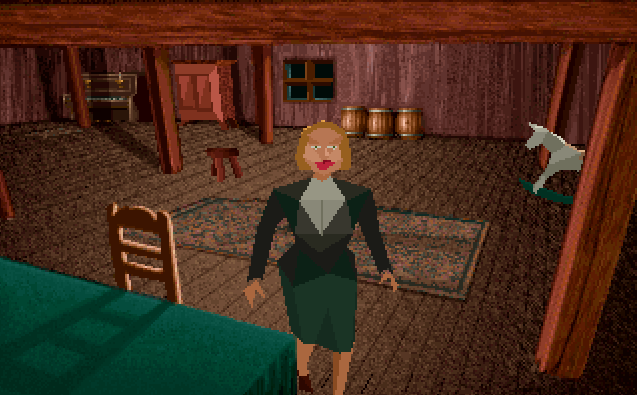 While Alone in the Dark as a series favors Edward Carnby as its protagonist, female options aren't all that rare here either. However Emily Hartwood and Aline Cedrac are merely optional choices next to Carnby, while Grace Saunders is the sole protagonist of Jack in the Dark. Meaning the first female protagonist of the 3D survival horror genre (and first solo protagonist) who stars in her own game ... is little 8-year old Grace Saunders going up against haunted toys. And that's just kinda funny. 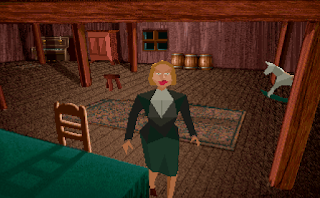 Grace Saunders would go on to become an important supporting character (as well as being briefly playable) in Alone in the Dark 2. When she rescued Santa and closed the toy shop doors, she left behind the world of haunted toys, only so Kirsten Dunst could become the scream queen of nineties malicious toy movies. ... 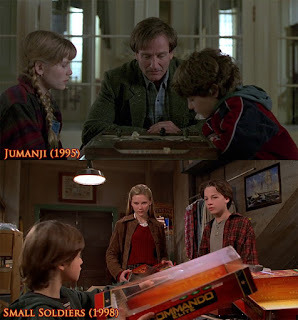 Okay there's probably no actual connection going on here, but a Netflix binge after having finished Jack in the Dark spawned the odd realization that, not only did Kirsten Dunst have a tendency to show up in nineties movies that somehow involved evil toys, Jumanji is also set in a de facto haunted mansion except by way of Edgar Rice Burroughs rather than H.P. Lovecraft (Small Soldiers is just about super-intelligent military hardware carelessly being put into children's toys which predictably goes wrong). 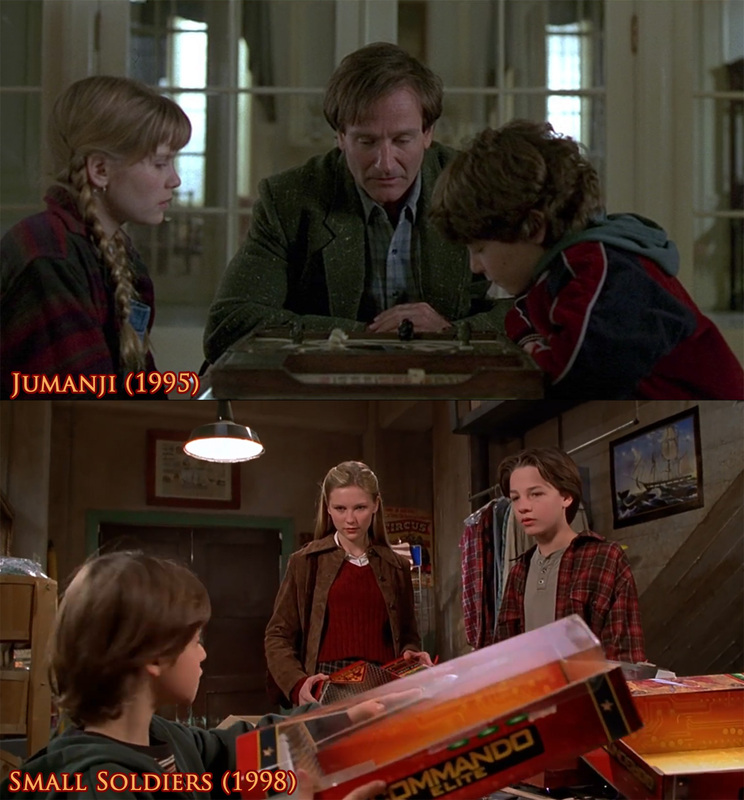 Maybe that would have been a cool idea for a video game based on Jumanji (rather than the Mario Party clone we got for PlayStation 2): lock the player character(s) inside a Resident Evil-ish mansion with the board game. Each roll of the dice opens a door or spawns a challenge in the form of jungle-themed enemies or hazards to overcome. Maybe Van Pelt as a Nemesis-like boss who steals the game.